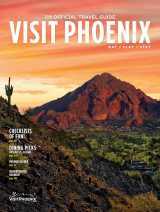 Greater Phoenix’s geological splendor, Native American history and Western sensibilities lend distinct character to the city’s cultural offerings. Phoenix’s museums are thoughtfully designed and well maintained, and most take advantage of the sunny weather with skylights, sculpture gardens and outdoor gathering spaces. The Heard Museum is arguably Phoenix’s most famous museum. The traditional and contemporary art on display provides insight into the culture of American Indian tribes native to Arizona and the Colorado Plateau. The Heard houses the nation’s largest collection of Hopi Kachina dolls, and the permanent exhibition Remembering Our Indian School Days: The Boarding School Experience is hauntingly well done. Phoenix Art Museum is the largest fine-art museum in the Southwest. Its permanent collection includes American, Asian and European masterpieces, as well as contemporary works, fashion and photography. There are more than 18,000 works in all. The museum is noted for its Western American collection, with pieces by artists such as Albert Bierstadt, Frederic Remington and Ernest Blumenschein. The sculpture garden (with WiFi) and museum café are both peaceful urban escapes. The Musical Instrument Museum, which opened in spring 2010, is the first museum in the world dedicated to the celebration of global instruments, and its exhibits include music-making devices from 200 countries and territories. The instruments are both exotic (such as a Dominican boumboum trumpet) and famous (such as the piano on which John Lennon composed the song “Imagine.”) Musicians will especially dig the Experience Room, where you can touch and play exotic instruments. As its name suggests, Desert Botanical Garden is an outdoor museum that showcases desert plants—and not just those native to the Southwest. Among the succulents that adorn the garden’s 50-acre grounds are endangered desert species from around the world, including Dali-esque trees from North Africa and sprawling cactuses from Mesopotamia. In winter, Desert Botanical Garden adorns its paths with more than 8,000 hand lit Luminaria bags for Las Noches de las Luminarias, a Phoenix holiday tradition. The garden is nestled among the red sandstone buttes of Papago Park, not far from leisurely hiking trails and the Phoenix Zoo. The Children’s Museum of Phoenix was created for children as young as infants and as old as 10. Unlike traditional museums, it doesn’t focus on art or science, nor does it contain paintings or bones; instead, the hands-on exhibits are designed to stimulate and entertain. Located in an historic school building in downtown Phoenix, the museum is a short stroll from the likewise-kid-friendly Arizona Science Center, which houses more than 300 interactive exhibits, a planetarium and an IMAX theater. Other worthwhile museums are Pueblo Grande Museum, Scottsdale’s Museum of the West, the Hall of Flame Fire Museum, and the Scottsdale Museum of Contemporary Art. And another great option for viewing street art comes the first Friday of every month in downtown Phoenix, when tens of thousands of people crowd the streets of the Roosevelt Row neighborhood for the First Friday Art Walk. This popular festival of street performers, bands and merchants is concentrated in Roosevelt Row but also extends to gritty Grand Avenue. Every big city seems to have a once-blighted neighborhood that has been transformed into a funky arts district. Roosevelt Row is Phoenix’s. Located on the northern edge of downtown, along the light-rail line, Roosevelt Row is a neighborhood of 1920s-1940s homes that are now occupied by artist studios, galleries, coffee shops, co-ops, small-stage theaters, boutiques and intimate restaurants. Roosevelt Row’s laid-back, arty vibe nicely counterbalances a city-center character defined by pro sports venues, refined performance halls and a massive convention center. With more than two dozen theater groups in Greater Phoenix, there is no shortage of dramatic entertainment. The city offers everything from Broadway plays to lyric opera. The Herberger Theater Center is the home of Ballet Arizona, the Arizona Opera Company and the Arizona Theatre Company. The Phoenix Theatre, founded in 1920, is the nation’s longest continuously running community theater. Another notable auditorium is Arizona State University’s Grady Gammage Auditorium, which is considered to be the last public commission of renowned architect Floyd Lloyd Wright; it provides a stage for hit Broadway musicals, grand opera, dramatic productions and university lectures.